When defending draconian gun laws in DC, Illinois, and New York, Democrats are quick to point out that states should be free to adapt their laws to their specific needs despite any pesky constitutional amendments or civil rights. But apparently they only want states to be able to set their own laws when those laws coincide with their own anti-civil-rights agenda. 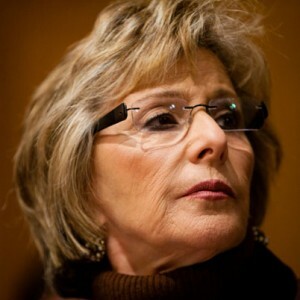 California Senator Barbara Boxer has introduced Senate Bill S147 to “establish minimum standards for States that allow the carrying of concealed firearms.” While the complete text of the bill is not yet available, it is reported that the bill would require states with liberalized gun laws to adopt a standard like those in may-issue states. This entry was posted in Barbara Boxer, Concealed Carry, Democrats, General Civil Rights, Gun Control, National Politics. Bookmark the permalink. I’m willing to bet she has no idea how things really work. Just wants to control everything. Id like to see her get railroaded. This is exactly why I do not a national permit. Where the camel’s nose goes, the other end is not far behind………and that end stinks. I guess it escapes her attention that urban areas have the highest violent crime rataes, and thus the strongest need for potential victims to defend themselves. Or does she prefer that people die while waiting for police that are minutes away–IF the situation allows for a 911 call AT ALL. I am from California, and Boxer doesn’t even understand her own state much less anyone else’s. Yes California has 38 million people, however most of them are in two major urban areas, SF Bay, and Southern California coast. The rest of the state is mostly rural. So to lump California into one category, urban, is retarded. It is not an urban state like New Jersey, it is far too large to be. Of course the logic is backwards anyway, I want my gun more in the urban areas then I do in the rural, with the possible exception of San Diego.